Do We Know Where Our Troops Are and Why They Are There? 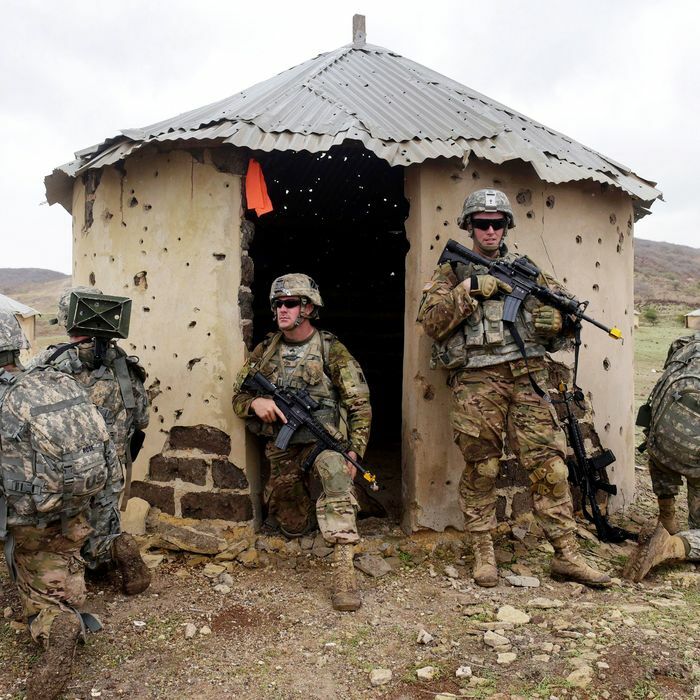 Do Americans Know Where Our Troops Are and Why They Are There? These U.S. troops in Senegal are risking their lives without their own people knowing about it. The furor the president unleashed by getting into an extended virtual shouting match with the grieving mother of a Green Beret killed in Niger (and her congresswoman) has had an interesting side effect. An awful lot of Americans who had likely never heard of Niger found themselves wondering why Green Berets were dying there. And, more generally, media have taken the opportunity to better inform Americans about the many, many places their tax dollars and their young women and men have been deployed for military operations without much of anyone stateside noticing. In almost all of the missions, the Americans are there to advise, assist and train African militaries — and not to take part in combat. Still, those supporting roles can often take U.S. forces into the field with their African partners, as was the case in Niger. An American public whose support for military interventions overseas is flagging, even as its intolerance for U.S. casualties is stronger than ever, could react powerfully to additional “isolated” incidents like the deaths in Niger. And that’s when some larger issues may be raised. Yes, U.S. overseas military deployments are near a 60-year low point. But still, you have to wonder how many of them make any continuing sense to the American people. Yes, given the daily headlines about North Korea, perhaps the 24,000 U.S. troops in South Korea would make sense to them. But so many of the deployments are ghostly remnants of long-past policies that current citizens can’t possibly remember and might not support, such as the post–World War determination to prevent Japanese militarism (the root of our 38,000 troops in Japan) or the anticommunist alliance underlying NATO. Many U.S. troops are essentially acting as deterrent trip wires in places where it’s no longer clear Americans want to risk war at all. And an estimated 37,000 troops are on secret missions about which the Pentagon is entirely silent. [I]t’s time to take stock of how broadly American forces are already committed to far-flung regions and to begin thinking hard about how much of that investment is necessary, how long it should continue and whether there is a strategy beyond just killing terrorists. Which Congress, lamentably, has not done. You might think that having challenged his own party’s commitment to reflexive internationalism, and its support for military interventions that don’t involve vital U.S. interests, Donald Trump might be interested in the kind of assessment the Times is calling for. But so far, he seems more interested in demanding more defense dollars and threatening other countries with deadly force than crafting any strategy. As for engaging the American people in an extended discussion of what in the world we consider worth fighting for — that’s hard to do on Twitter.